When all five of my children were little, I was so busy with parenting, it never occurred to me that there would be a day that I would do anything outside of raising children, wiping noses, and potty training. Yes, I have my degree in Elementary Education, with a minor in history, so it is not like I did not feel equipped to have a career outside the home. It was simply not where I felt called to be over the years. Fast forward to today.... My kids are raised, or if not completely raised, they are way past needing me for every single minute of their day. MaryEllen is in school and is thriving. I have peace daily knowing she is in exactly the perfect environment for her. So that has left me with a little time to dream about what I want to do with the rest of my life! Since I am turning 50 this month, it is a perfect time to celebrate where I have been, and where I am going. 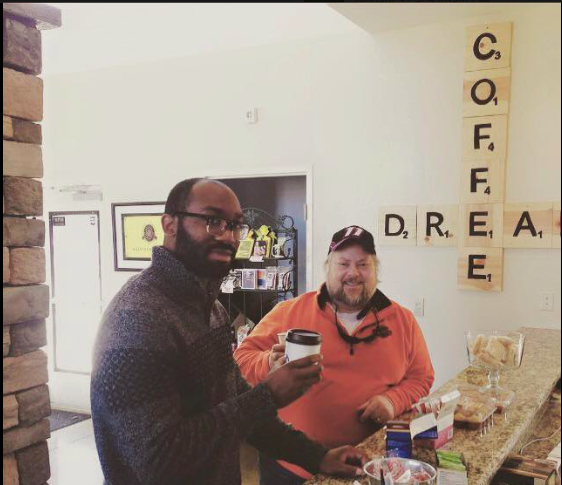 Last summer, I ever so excitedly announced that I wanted to open a Coffee House. Not just any old coffee house. I wanted this coffee house to be a place that MaryEllen could help me run one day. 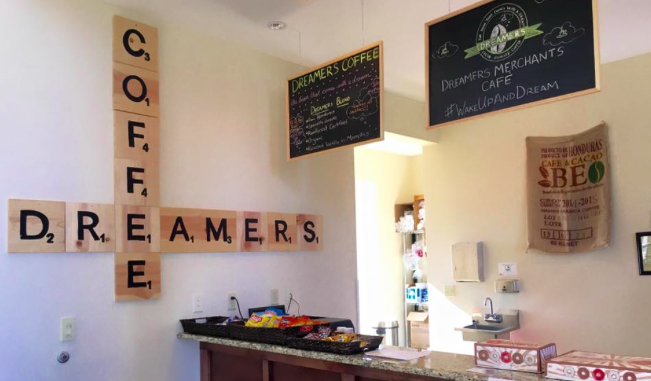 I wanted this coffee house to employ individuals of all abilities, working side by side in an inclusive environment. 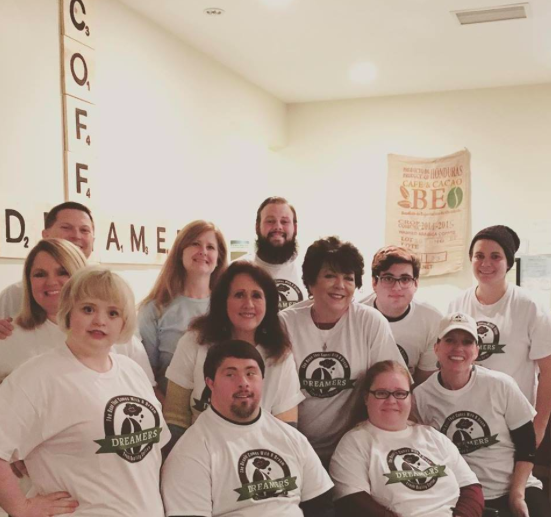 In the mean time, I wanted this coffee house to benefit others who are part of the disabilities community who are under-represented in the work force today. I started with the coffee. 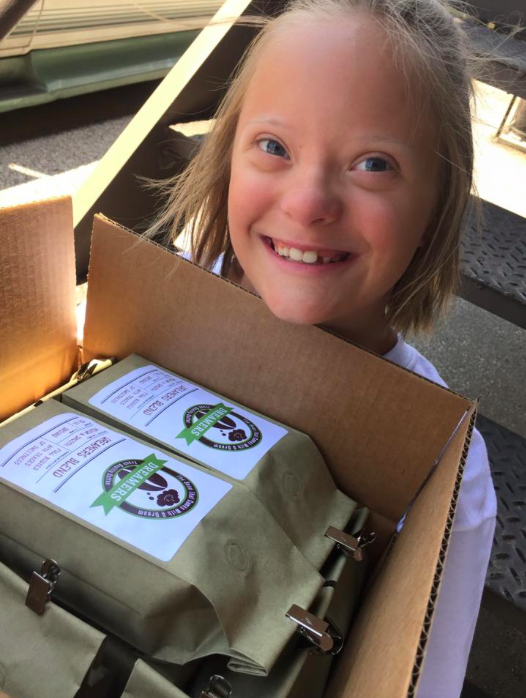 I made a decision to just sell the coffee to begin with, so that we could make the business sustainable. ME and I sold so much coffee, that they knew us by name at the post office, Fed Ex and UPS! For the first part of the summer, ME and I distributed coffee nationwide. 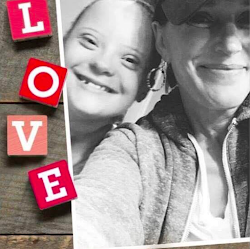 My sweet girl and I had a blast! Later, others asked us if they too could sell our coffee. So we began the hard work of making a plan so that others could also help us make the dream come true. We began by licensing others to sell if locally. Then we started hearing from those who wanted to sell it nationally. It has grown already bigger than anything we could have predicted this soon. We still kept coming back to the number one goal of opening a coffee house. Many people had offered their locations, and it was not until one day when Chris and Brittany Thompson of Vantage Point Golf Range offered for us to sell from their club house did we pause and say, this would be a perfect location. So we began to get to work to bring Dreamers to Vantage Point Golf Range. The Dream Team and I have been working hard. We have been learning about all things coffee, and how to run a successful coffee house. And we are ready to share this with the world! Well at least the Memphis community. We hope you will come out and celebrate how far we have come in such a short time. This Friday is our big day! We will be hosting a ribbon cutting at Vantage Point Golf Range at 9:00 am in the morning! So come on out to 9580 Macon Road in Cordova! Help us celebrate how far we have come, and our Dreams that are yet to be!